cpasmile is very helpful to my daily needs, thank you so much. The platform is completely different from the others. High payouts and Best cpa site so far. One of the best network. Amazing offers. Excellent payment. cpa smile is a greatest network. Their system, Tracking system, offers and communication(Honourable cpa smile manager is very responsive) and they paid me on very timely. 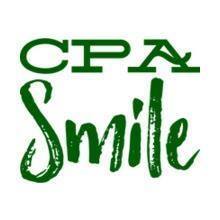 cpa smile is the best network for me compared to others. Cpa smile is Very nice website to work,amazing support. Awesome network with very good support team happy to work with them.